Growing up I was a three sport athlete playing hockey, lacrosse, and volleyball. I then went on to play lacrosse for the University of Minnesota. I started weight lifting when I was 13 to help improve my athletic performance and it quickly grew into a huge passion of mine. I graduated in the spring of 2018 from the University of Minnesota—Twin Cities with a bachelors of science in kinesiology.  I am a personal trainer out of Los Campeones gym, an online coach, and a strength and conditioning coach. I am strongly passionate about health, fitness, and wellness. Helping others gain strength not only in their bodies, but their minds as well. Whether your goals be improving cardiovascular health, muscular hypertrophy, weight loss, athletic performance, increasing strength and/or flexibility, or just wanting to feel amazing in your skin— I am here to provide you the tools necessary to achieve these goals and give you the support you need in your journey. I will challenge you and push you into becoming your best self! I offer one-on-one in person training sessions, group training sessions, and for those not local to Minneapolis, I offer customized online training programs. Accompanied with these programs I offer nutritional guidance. Please feel free to contact me with any questions!! Stop waiting for the “perfect” time… that time is now!